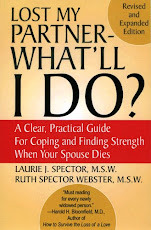 With all the changes and stress you have to cope with because your spouse/partner has died, we thought it might help relieve some pressure to know what does not require your immediate attention. 1) Responding to sympathy cards and/or other forms of condolence. 2) Staying on a diet (unless your health is at great risk), or any other non-critical lifestyle change. 3) Taking care of others feelings about the loss (except immediate family). 4) Keeping any social obligations. 5) Making major decisions about your home, finances, etc. Remember that you’re going through a major loss and others don’t expect you to function the way you normally do. So be realistic about your expectations for yourself and trust that others will understand.